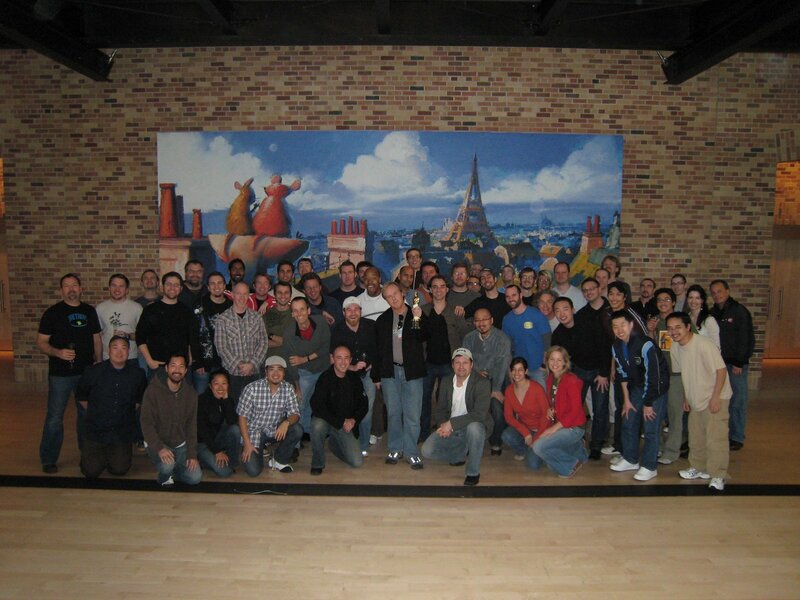 VNOG Blog: Congratulations Brad Bird and Ratatouille! Congratulations Brad Bird and Ratatouille! congrats to the entire pixar team.... loved the movie. Yay! I second that congrats! ...and thanks for the pic (very fun to look at)! Well deserved!!! It's good to see Ev, Amber, and Stephen again! Congratulations to everyone!, I follow pixar's adventures and is increible find many good things. ¡felicidades a todos ustedes! Big congratulations!!! I am so happy for you all! Félicitations-you all deserve it! That's a big crew for animation-is that fairly typical for Pixar features? Matt J - the crews are getting bigger every film. On Monsters, Inc. 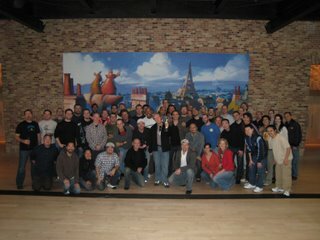 I think we had about 40 animators. On Ratatouille it got up to about 90. WALL-E wasn't quite so big (probably around 70), because we weren't as behind on the schedule. Congratulations to Animation Mentor Class of '08!